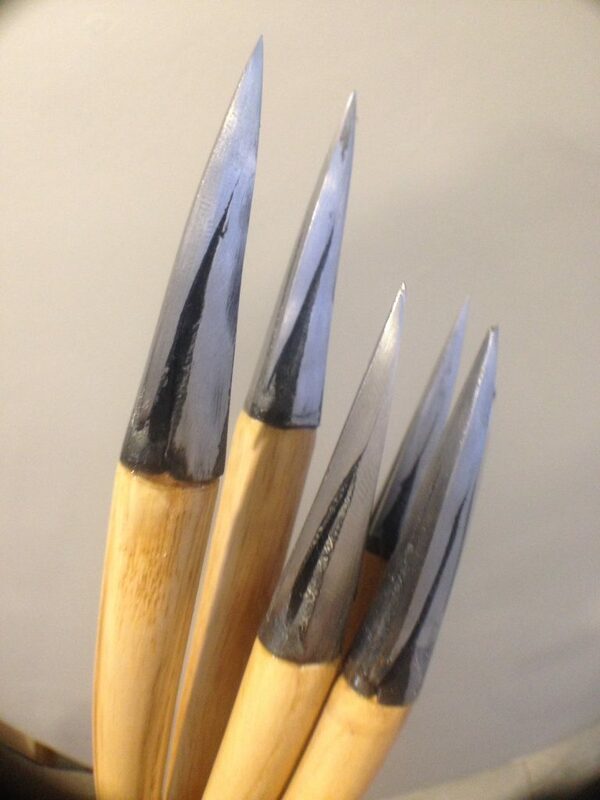 Arrows for heavy warbows are hard to come by – it’s the reason we started building our own! We can build warbow arrows for bows between 70 and 150lbs. 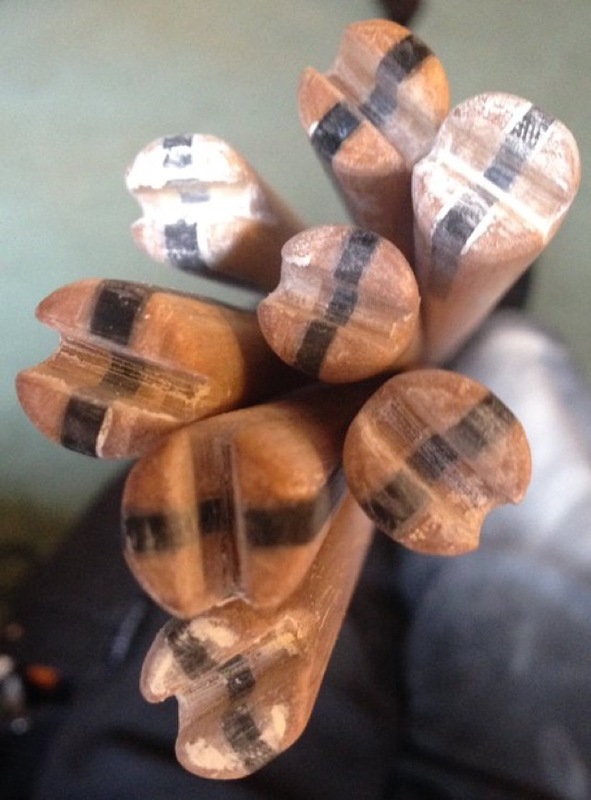 We mainly use ash, and birch shafts as genuine poplar is hard to come by (most is actually imported tulipwood), but occasionally get some of the more weird and wonderful shaft materials in, like oak , maple and sycamore – we’ve even built some from beech, but they have a tendecy to shatter at the lightest ricochet – not fun! 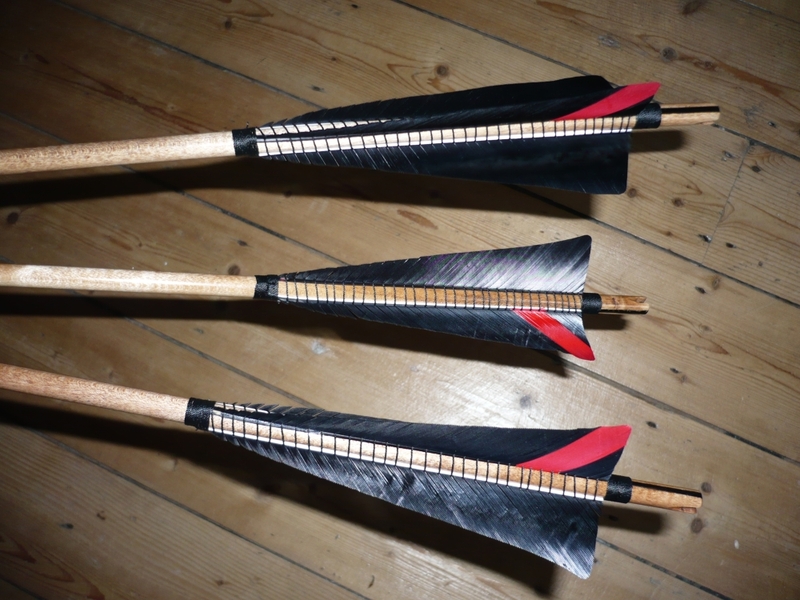 We are regularly asked to make arrows which adhere to the English Warbow Society Standard, Livery and Military Arrow criteria. 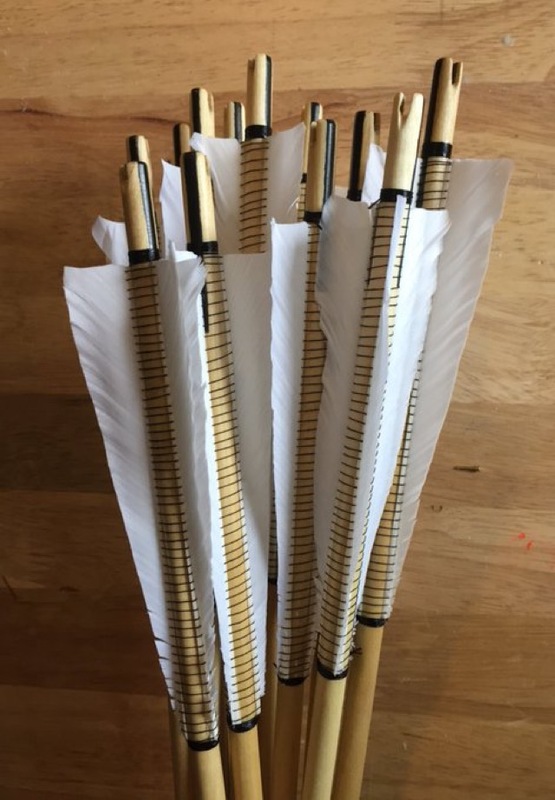 We can build a simple arrow in pretty much the same way as either our cheap target arrows or cheap field arrows, just using heavier shafting, which are ideal for practicing with a new bow. 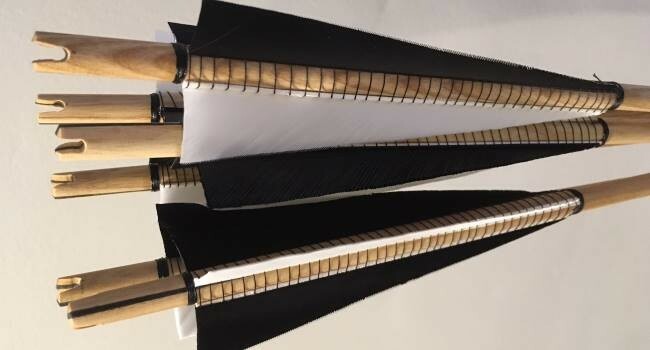 Once you know what you need we can go the whole hog and, depending upon materials and availability, we can build fully EWBS spec compliant Standard Arrows, Livery Arrows or Quarter Pound Arrows. 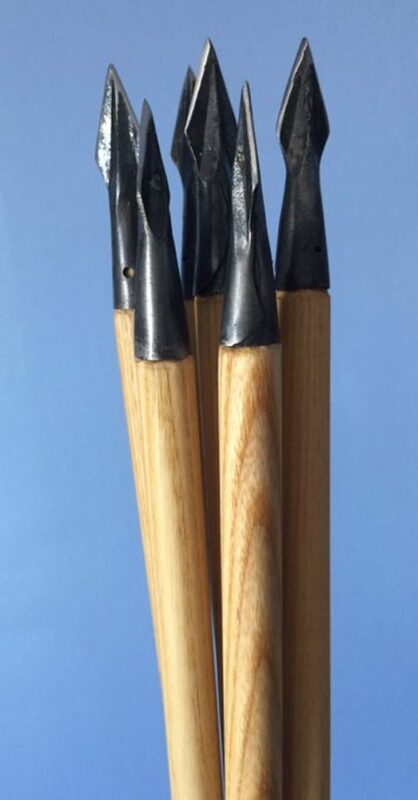 Costs for the basic arrow are slightly higher mainly due to the cost of the shafting, and the serious stuff (horn nocks, silk binding, hand forged broadheads, tapered shafts etc) doesn’t come cheap, and they take an age to make, but it’s worth it to feel like you’ve gone back in time! 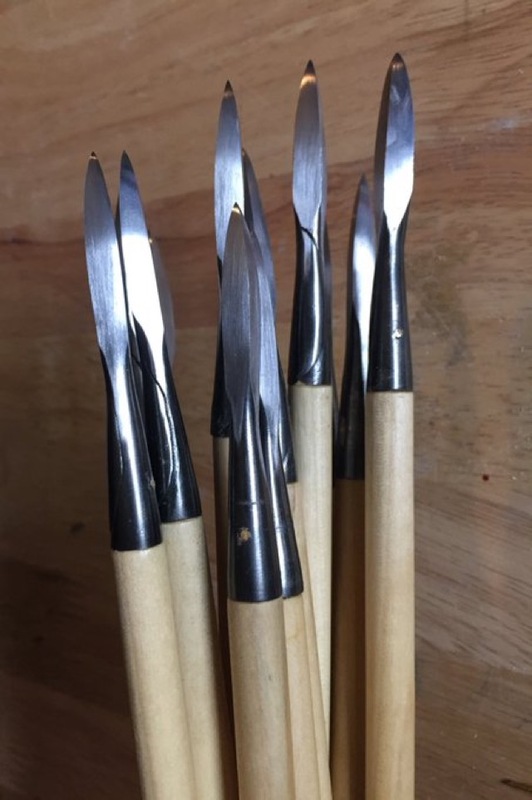 Fletching - either long standard shield (5") or hand cut in any shape, up to 8" in turkey or goose (and occasionally swan and peacock wing). 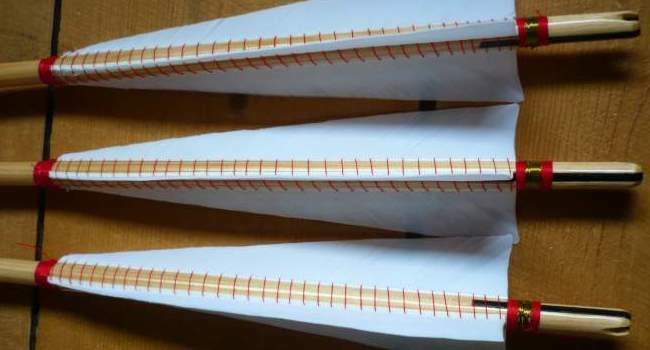 Binding/Whipping - linen or silk in a variety of colours. Shafts - 3/8" or 1/2" straight, tapered or barrelled. 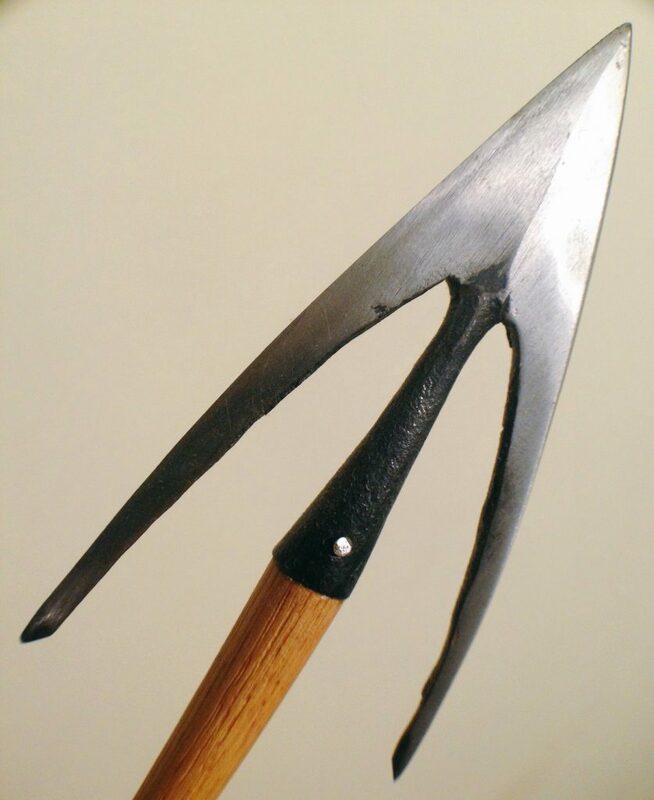 Heads - machined bodkins or hand forged heads specific to your historical date/requirements. 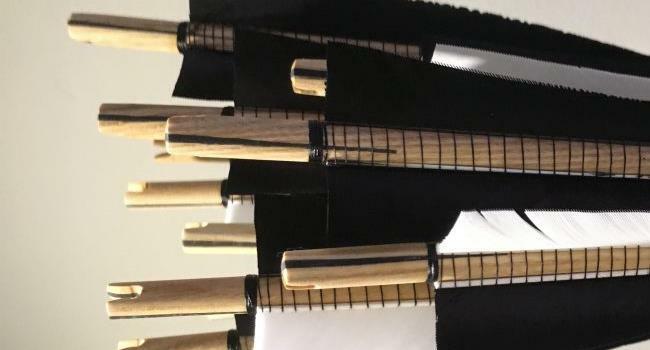 Glues and methods - usually modern adhesives and fletching jigs used to ensure consistency for shooting, but if you want a more historical piece, hide and fish glues can be used, along with hand binding into copper verdigris and beeswax compound. 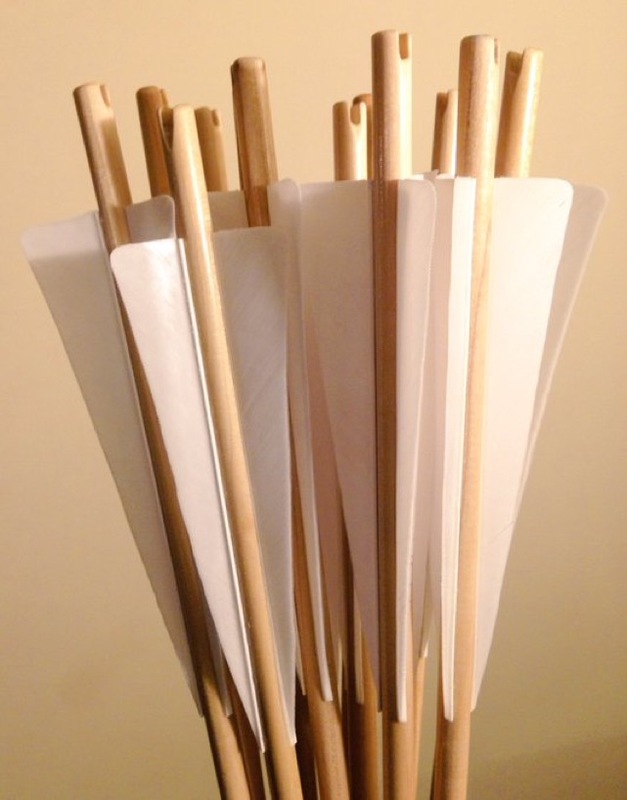 Sets of 12 (or more) can be made, usually with a discount, as part of the cost of these heavy arrows is tool setup and sourcing materials. 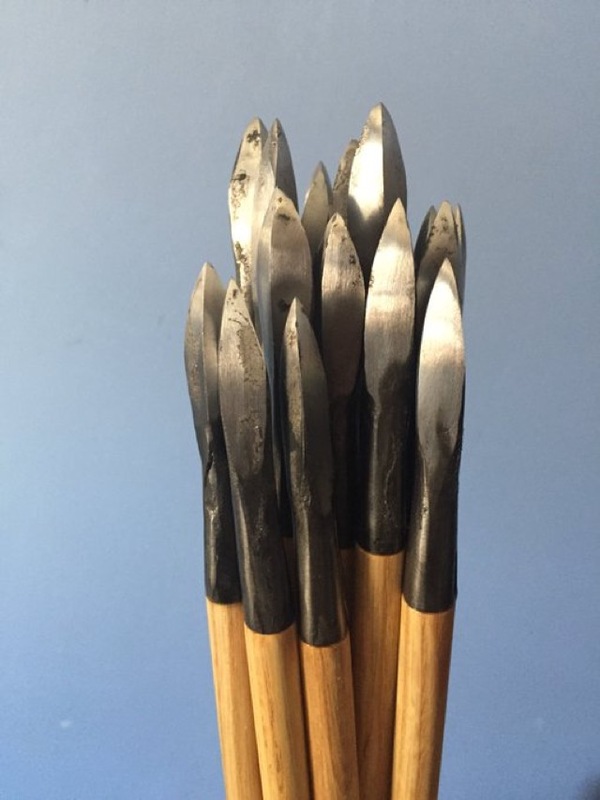 Costs for all of these will obviously depend on whether you need the shafts shaping, fletching bound, specialist heads, fancy fletching or traditional glues and materials to be used – (almost) everything is possible!